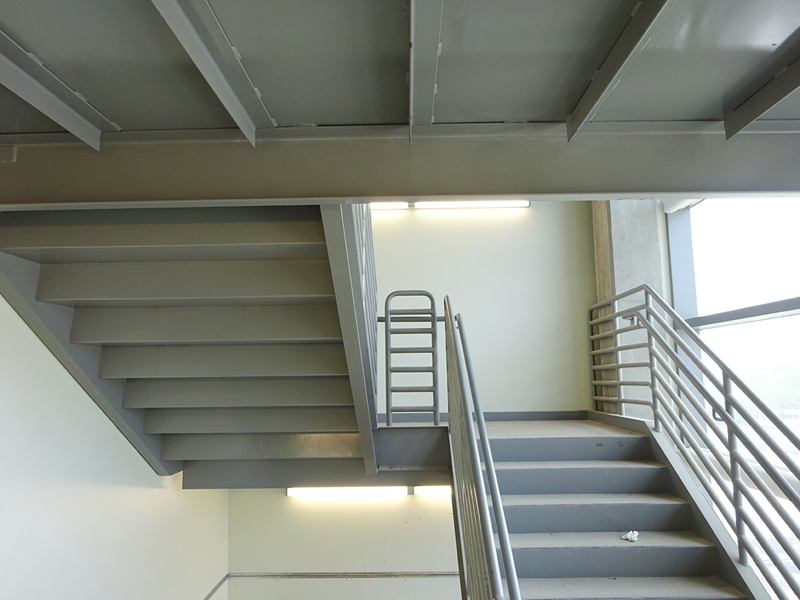 It's hard to think of anywhere more important for solid construction and infrastructure than a hospital. 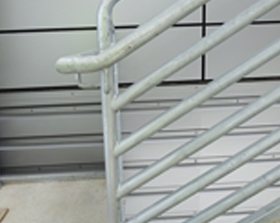 Designers and planners strive to make hospitals safe and reliable, and generally recruit the most highly reputed manufacturers to build for them. 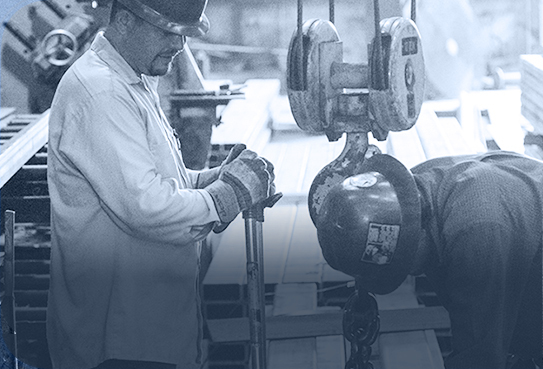 At American Steel & Aluminum Co., Inc., we have a long history of customers from a broad range of industries consulting us for steel construction of all kinds. 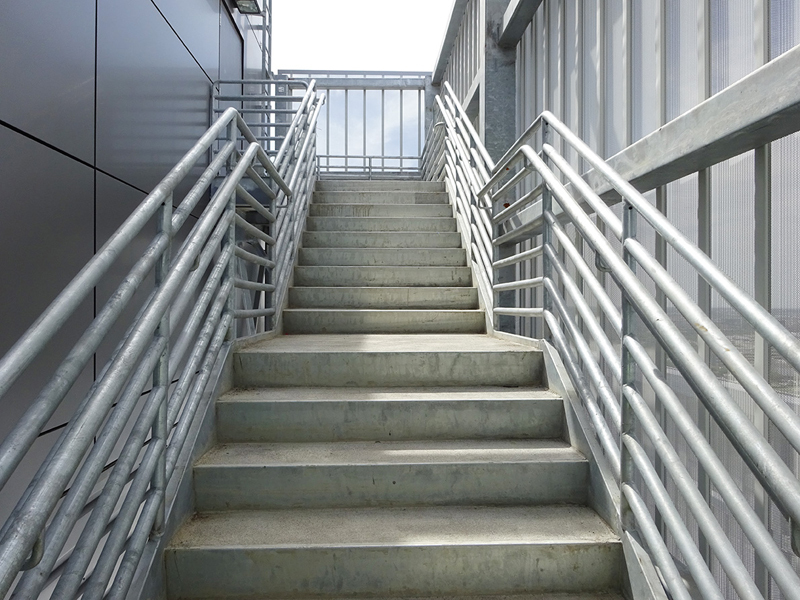 We have specialized in commercial construction over the years, and this tradition is exemplified by the project illustrated here. 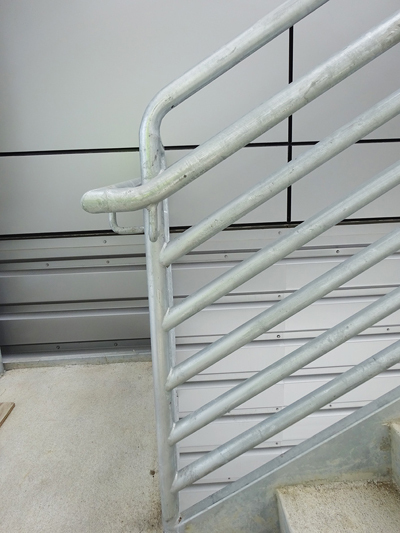 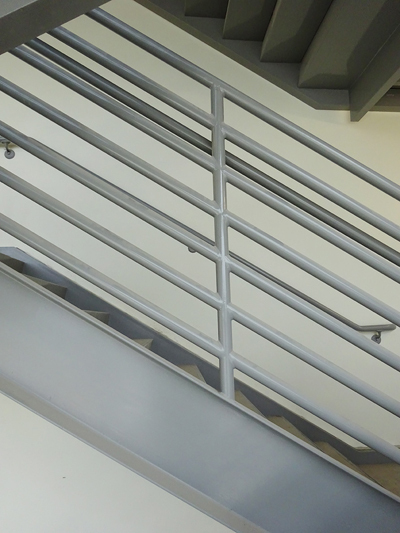 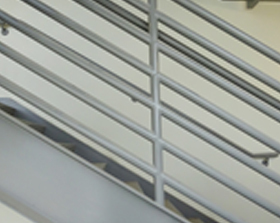 A customer required the fabrication of steel emergency egress stairs for a major hospital building, and we were pleased to accept the project. 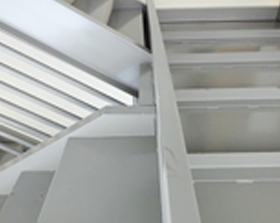 We began the process by rendering all of our customer's specifications into CAD drawings. 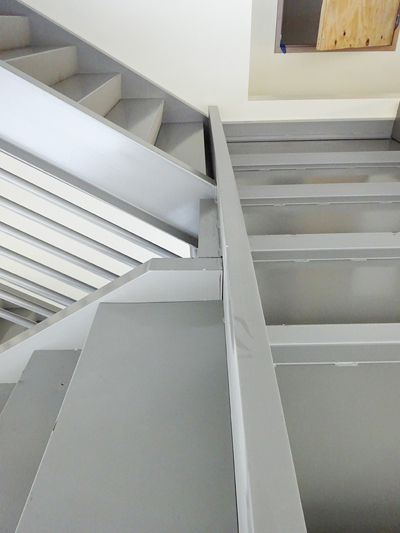 Our team of experts uses only the finest and most appropriate materials for each project, in this case employing A-36 steel. 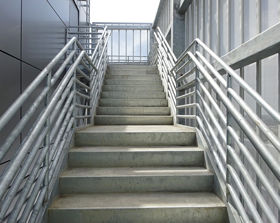 Our full range of fabrication capabilities and cutting edge equipment were put into use for this assignment. 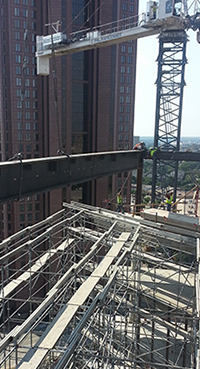 This included structural fabrication, welding, plasma cutting, and pipe/tube processing. 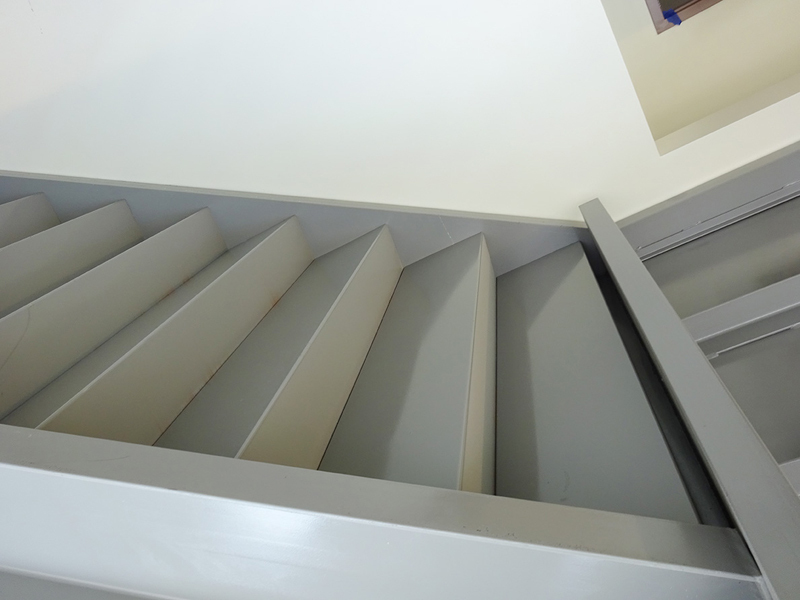 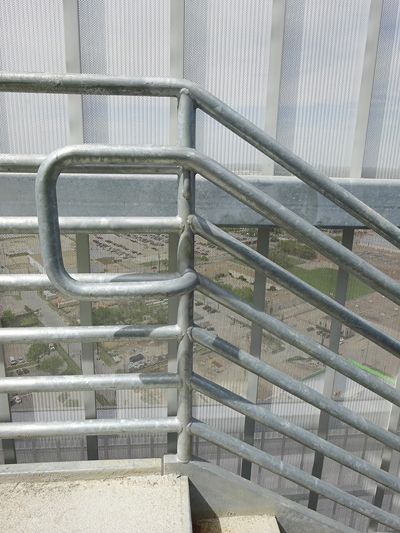 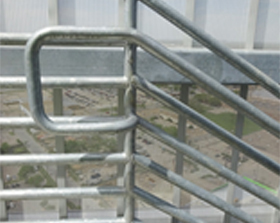 To ensure that the finished product was of the highest quality, all of the egress stairs were primed and painted. 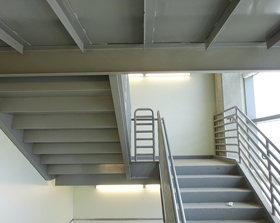 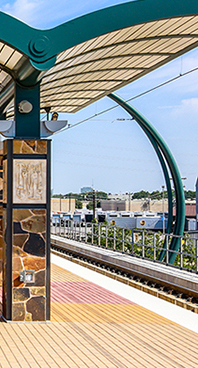 When completed, we manufactured, delivered, and installed over 50 floors of emergency stairs for this Dallas, Texas hospital. 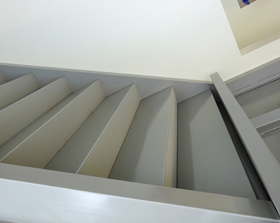 To learn more about this stair fabrication project, please take a look at the following table, or contact us directly.